GREEN BAY, Wis. — The Green Bay Packers were missing star quarterback Aaron Rodgers when they closed last season with a road loss to the Detroit Lions. Randall Cobb injured a hamstring last week, didn’t play on Sunday against Buffalo and hasn’t practiced this week. Geronimo Allison suffered a concussion last week and hasn’t practiced this week, either. “We got a little thin at practice,” coach Mike McCarthy said on Thursday morning. 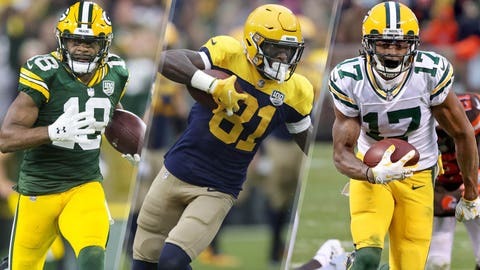 Of the Packers’ 103 completed passes for 1,185 yards and seven touchdowns, 64 catches, 768 yards and six touchdowns have been made by Adams, Allison and Cobb. The receivers who potentially could be in the lineup on Sunday have a combined two catches for 41 yards and zero touchdowns. The next men up are rookies: fifth-round draft pick Marquez Valdes-Scantling, fourth-round pick J’Mon Moore and sixth-round pick Equanimeous St. Brown. 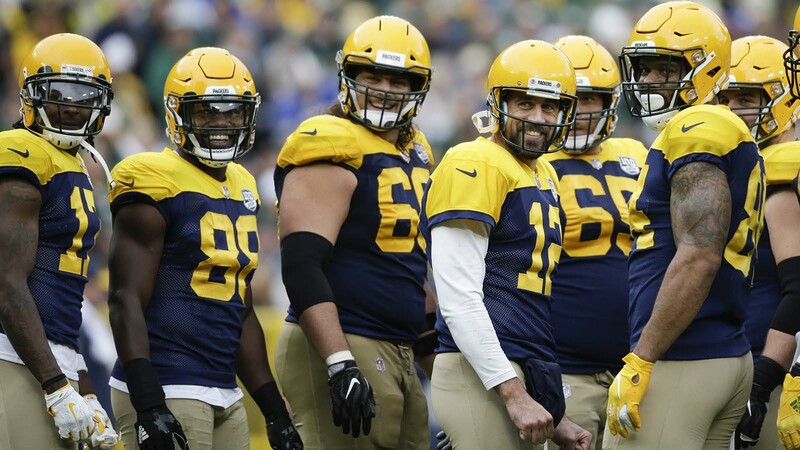 “At some point in the season, your young players are going to play, and our receiver position is potentially in that situation,” McCarthy said. Valdes-Scantling played 20 snaps in the first three games and 54 on Sunday against Buffalo, when Cobb was inactive. He has the two receptions. Moore didn’t play on offense in the first three games before playing 11 snaps after Allison went down against Buffalo. St. Brown hasn’t played on offense. “They’re getting better,” Rodgers said. “You guys don’t see the practices, but J’Mon’s been making a lot plays in practice and improving and same with Eq. (Valdes-Scantling’s) been ahead of those guys for a while and getting more opportunities, as you saw last week with Cobby being out and him being first up. There’s time for one or more of the starters to get healthy. With their pedigrees, McCarthy would feel comfortable playing any of the three without any practice time. Still, there appears to be at least a decent chance that Green Bay will go into a key NFC North game without any of its top three receivers. “I think we’ve still got some progress to make before I think both sides would be comfortable,” Cobb said. “It’s a long season and we’re on Game 5, but at the same time, it’s a short season, and we’re on Game 5. Of the three rookies, Moore entered training camp as the front-runner to be the team’s No. 4 receiver. However, as Moore dropped passes throughout the summer, Valdes-Scantling’s consistency allowed him to jump to the top of the list. “I always prepare like I’m going to be the No. 1 receiver,” Valdes-Scantling said. Given the outlook at receiver, Rodgers might have to direct the passing game elsewhere. Tight end Jimmy Graham is fourth on the team with 16 receptions and running back Ty Montgomery, who started his career as a receiver, is fifth with 11. Notes: For the second consecutive week, Rodgers practiced on Thursday. He had limited participation last week but full this week … To bolster the receiver group, Green Bay signed DeAngelo Yancey to the practice squad. A fifth-round pick last year, he spent all of his rookie season on the practice squad. … CB Kevin King, who injured a groin in Week 2 vs. Minnesota and has missed the past two games, had full participation for the second consecutive day, but S Kentrell Brice was added to the report and was limited by an ankle injury.